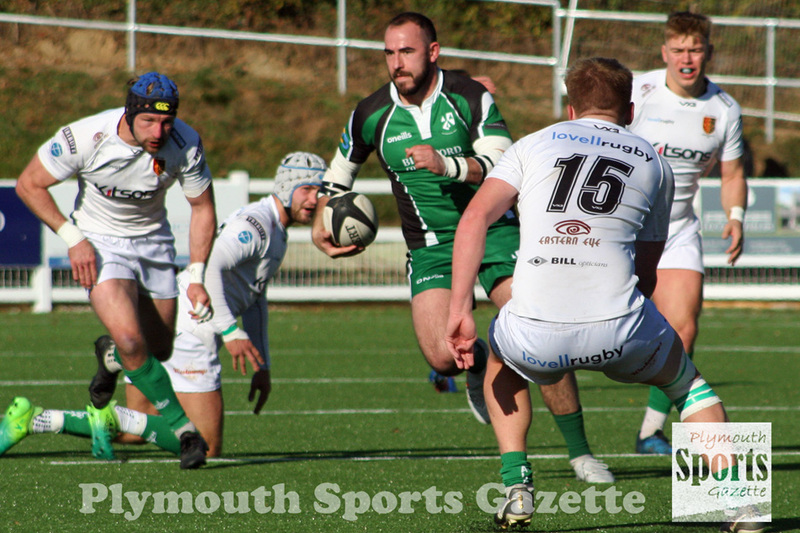 IVYBRIDGE player-coach Lewis Paterson is hoping his side will be at their very best for Saturday’s top-of-the-table clash at Bournemouth. The Bridgers travel to unbeaten league leaders Bournemouth on the back of a narrow 31-25 loss to Devon rivals Barnstaple last weekend. Although Ivybridge stay in second spot they are now seven points behind their opponents on Saturday, who have the league’s meanest defence. Bournemouth have conceded nearly 100 points less than anyone else in the division, but Paterson is confident that if his team play to their potential then they can cause the Dorset side problems. “We are probably one of the most dangerous attacking sides in the league,” said Paterson. “We have got some very dangerous backs and even our forwards are a good attacking bunch. I have no concerns that we can’t go up there and score some tries and really take them to the wire. He added: “This is a very big game and it is a good one to try and bounce back from following a narrow loss to Barnstaple. “We weren’t really at the races last week and when you are not firing on all cylinders in a Devon derby and the other team are then it is going to be difficult. “Barnstaple are an incredibly strong side with some phenomenal leaders like Ben Hilton and Jake Murphy, but we just have to learn from it. “If we can take anything from the Barnstaple game then it is that we just have to make sure we really take it to Bournemouth from the start and not give ourselves a mountain to climb. 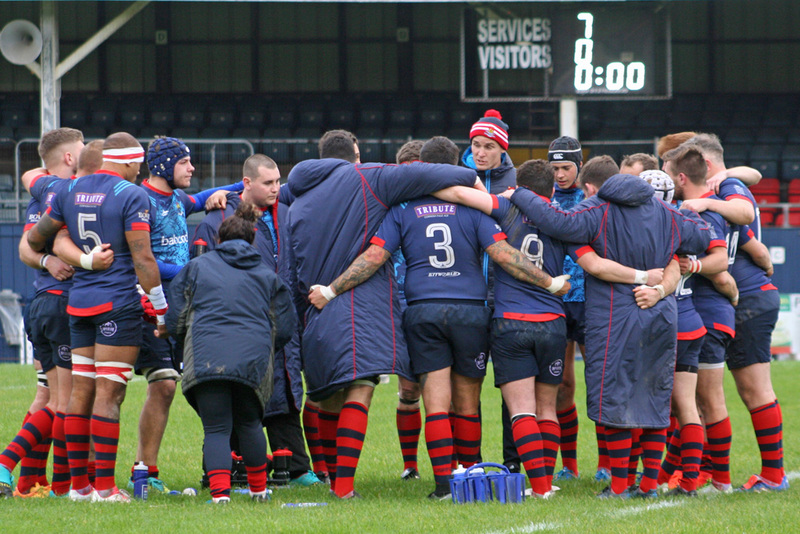 Paterson missed last week’s game against Barnstaple, but is available this weekend. However, flanker Ben King picked up a knock last Saturday and is likely to miss the trip to Dorset, while fellow forward James Sloan is also doubtful. Luke Martell is also likely to be still missing after a nasty cut to his nose a few weeks ago that needed 14 stitches. 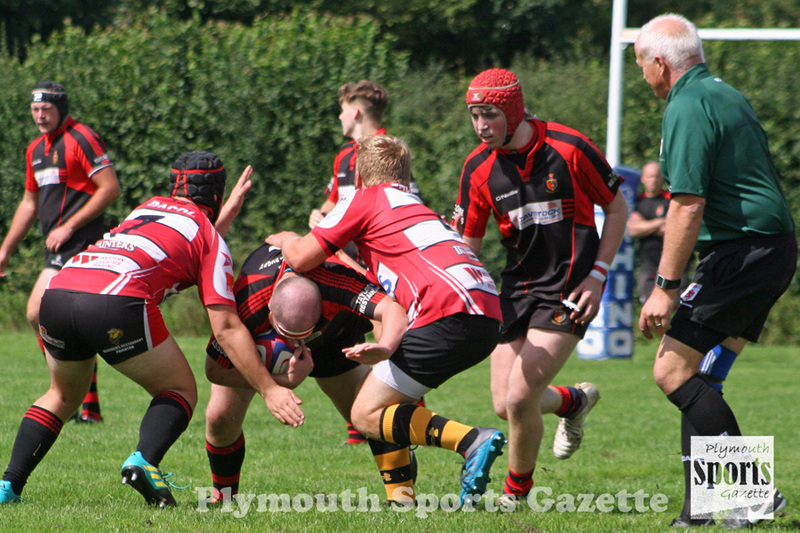 DEVONPORT Services will be looking to put last weekend’s heavy defeat at leaders Launceston behind them when they host Lydney at the Rectory. Services lost 66-15 at Polson Bridge to drop down to seventh in the standings. However, they are only four points behind third-placed St Ives and will be hopeful of picking up a win on home soil on Saturday. Devonport are so far unbeaten at the Rectory, while Lydney, who were in the South West Premier last season, have yet to win on their travels. Services, though, will not be taking the Forest of Dean side lightly. Lydney have beaten Bridgwater, Thornbury, North Petherton and Cullompton this term. “You always know what you are going to get from a team from around that area of the country,” said Services coach Mike Lewis. “And we have come up against a fair few teams like that already this year. “Last week was probably the only time we have not come up against a really big team and maybe we thought we are going to be all right and didn’t have to put as much effort into this tackle or that. Bigger teams we have come up against we have clawed into them as we knew if we didn’t they would run over us. Lewis hopes his team have got over last week’s heavy defeat at Launceston. “We have tried to make it as light-hearted as possible after last weekend,” he said. “We did actually play some good rugby at times last week but we weren’t clinical enough at certain stages of the game. “This week we have tried to focus on what we did well, although we have also touched on what we didn’t do so well. But we did score some really good tries and played some good rugby, so why can’t we do that for a bit longer? That is what we are asking ourselves. Services are still struggling for front-row players, but they do have plenty of backs available. Mark Friend is also back in contention after fully recovering from broken ribs, while former Hartpury College player Nick Murray, who is now a strength and conditioning coach at Plymouth College after graduating in the summer, could get his chance. Saltash will be looking to continue their good recent form when they travel to Kingsbridge in Western Counties West. The Ashes have won four of their last five league and cup matches, with their only defeat a narrow 19-8 loss away at third-placed Crediton. Saltash are still in the bottom three but are only one point off safety and are only six points behind their opponents this weekend, Kingsbridge, who are in eighth spot. After failing to win any of their opening four games of the season, Kingsbridge, who finished fourth last season having dropped down from South West One the year before, have picked up form winning four of their last six. Kingsbridge’s strength is their pack. They tend to be particularly strong at line-outs and are usually physical at rucks. Saltash will be hoping they can keep their penalty count down and keep hold of the ball and get their dangerous backs into the game. 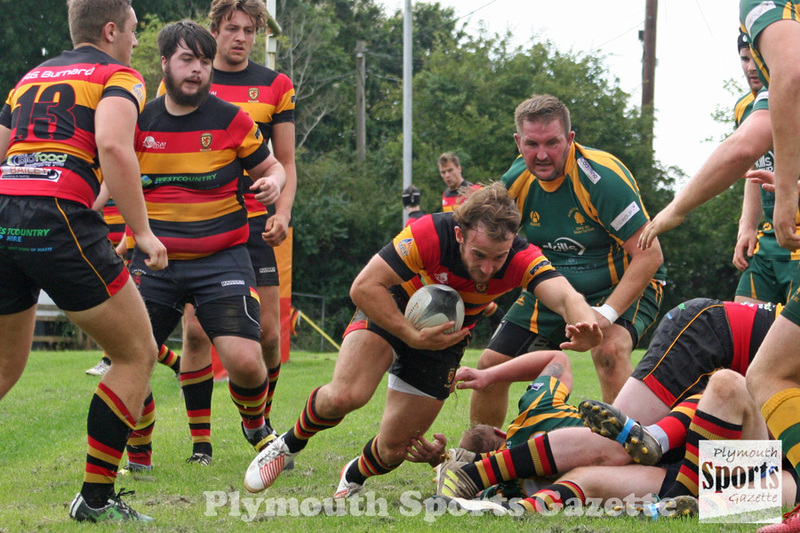 PLYMSTOCK Albion Oaks admit their next two games are likely to be crucial to their season. Oaks have enjoyed a tremendous start to 2018/19, winning all 10 of their opening Cornwall/Devon League games. That is a club record and sees them sit three points clear at the top of the division. 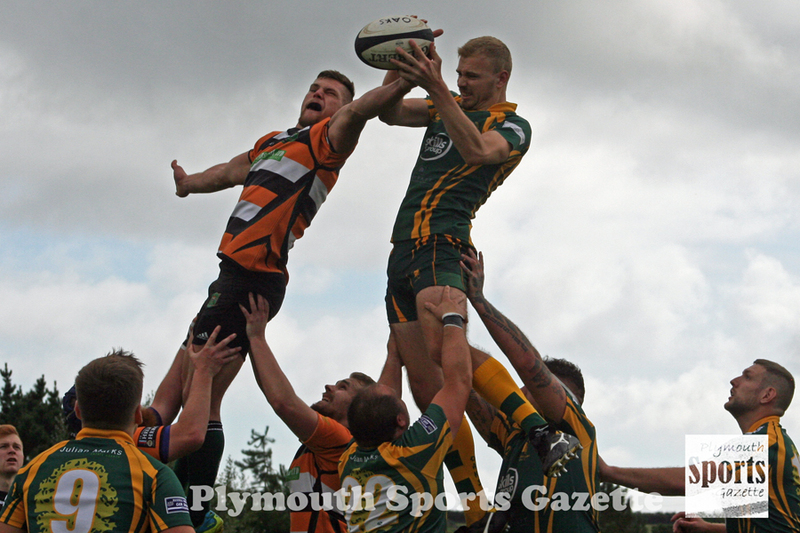 However, their credentials will be well-and-truly tested in the next eight days when they travel to fourth-placed Honiton this Saturday before hosting second-placed Bude next weekend. “The next two games are crucial for us,” said Oaks player-coach Aiden Taylor. Oaks’ goal at the start of the campaign was a top six finish, but that is looking more and more likely as the top six pull away from the rest. There is a nine point gap between South Molton in sixth and Topsham in seventh, with Oaks are 23 points ahead of Topsham. Honiton finished fourth last season behind Wellington, Saltash and Penryn and, although they have lost three games away, they have a 100 per cent record at home, with four bonus point wins out of four. “From what I have heard and what I know about Honiton, their forward pack is one of the best in the league,” said Taylor. “However, they are a bit light-weight in the backs. But even if Oaks do not get a result away this weekend, they will know they still have them to play at home. Meanwhile, Tavistock and Plymouth Argaum have both bolstered their squads as the Cornwall/Devon League hits a crucial point. Fourth-from-bottom Tavistock have formed a link through their director of rugby James Reyburn with University North Owls Rugby Club in Canberra, Australia. Scrum-half Hamish Dawson has arrived from the other side of the world and will make his debut against Lanner this weekend. He is set to be joined shortly by another team-mate from Australia. Tavistock have also loaned centre Ben Tharme from Launceston, while flanker Jamie Legg will be another debutant this weekend in Cornwall. Lanner sit eighth in the table, with all four of their wins this season coming at home. 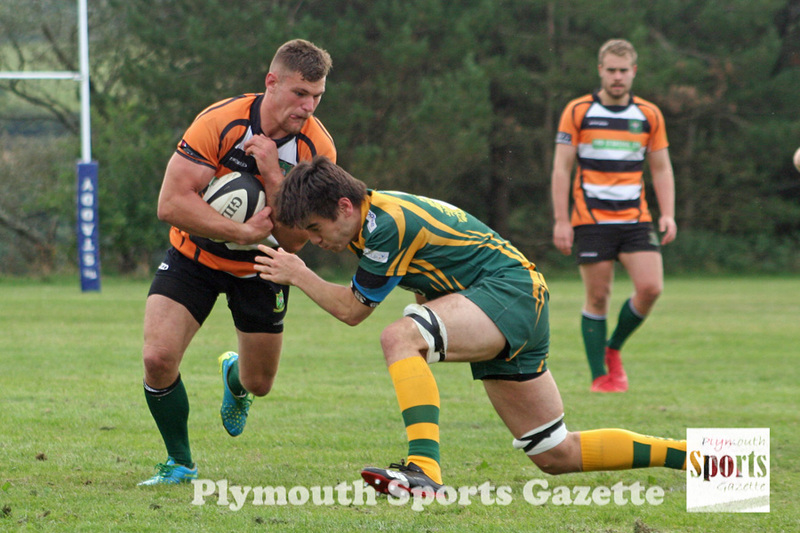 “They have pushed Plymstock and beaten Honiton so we are expecting a tough battle,” said player-coach Hammy Kerswill, who misses this weekend’s trip due to a long-standing commitment in Loughborough. Tavistock are also without Phil Wilson, Charlie Charlton, Sam Northmore, Josh Birch, Jack Easton and Sam Cox. But they are delighted to hand debuts to Dawson, Legg and Tharme. “It is exciting to see new players involved and is further strength in depth,” said Kerswill. Meanwhile, ninth-placed Argaum, who have been badly hit by injuries, have boosted their squad with the signing of forward Adam Walker from Ivybridge and the arrival of Royal Marine Ben Burker and Marjon students Jack Way and Joe Tree. Way and Tree join Ethan Wood, who also arrived from Marjons earlier this month. Devon Under-20 player Walker is the younger brother of Joe, who should be back for their tough trip to Bude on Saturday. “Adam has played for us in Boxing Day games and has impressed,” said Argaum’s Stuart Quarterman. “He may only be 19 but he will bring some experience to our team, having been involved in a good Ivybridge set-up and having played for Devon Under-20s. Unfortunately, Adam Walker picked up an injury in training and will miss the trip to second-placed Bude. Argaum, still missing the likes of forwards Dan James and Calum Mills, should have Chris Perkins back for this week’s trip to Cornwall. Meanwhile, OPMs will play Exeter Athletic in a rearranged Devon Junior Cup quarter-final at King George V Playing on Saturday. The clubs will also play next week in Devon One. Ideally, OPMs would have liked to have moved the cup match to another Saturday, but this weekend was the date set by the organising committee as the back-up date. Whoever does win the cup match will hosts either Buckfastleigh or Dartmouth in the semi-finals. In the Devon Merit Table, St Columba & Torpoint are due to play University of Plymouth III, DHSOB are set to travel to Torquay II and Plympton Victoria are due to play Plymstock Albion Oaks II at Horsham Fields. St Columba & Torpoint have a new coach. Londoner Andy Pine has got involved with the south east Cornwall club having recently moved to the area. He has previously coached Blackheath’s women’s teams and their third and fourth sides. Pine says he is loving being involved with Saints. “The club’s got some really good players,” he said. “There are some guys there who really know their stuff and are quite fit guys but you also have some inexperienced guys. It is a good mix and I think it is a good standard. All they really need is just a bit of pointing in the right direction.